more than 2 are $2.05 ea., more than 5 are $1.95 ea. 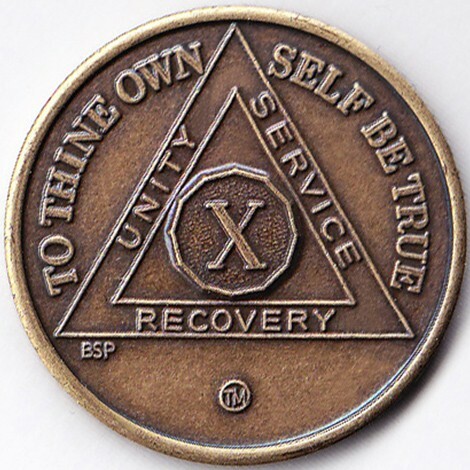 The medallion is designed with the year of the corresponding birthday and the triangle with the words UNITY, SERVICE, and RECOVERY around it. The back of the medallion has the Serenity prayer on it. Available in 24 hours; 1, 2, 3, 4, 5, 6, 7, 8, 9, 10, 11 & 18 months, and years 1-60.